Book Big Cat Green Island Reef Cruises with AFerry.co.uk and explore the Great Barrier Reef! You can book Big Cat Green Island Reef Cruises with AFerry. No trip to Cairns is complete without exploring the Great Barrier Reef - one of the seven natural wonders of the world. With Big Cat Green Island Reef Cruises, you can choose from full day and half day cruises, allowing you to snorkel, dive, and swim in the crystal clear waters, enjoy viewing tours from the boat, and even relax on the sandy beach. See below for detailed Big Cat Green Island Reef Cruises timetable information and the best prices our customers have found recently. 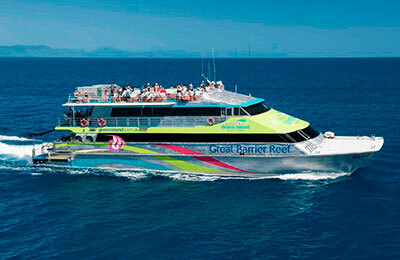 The Big Cat	Green Island Reef Cruises fleet is comprised of two boats; Big Cat and Reef Rocket. Big Cat is a 35 metre catamaran operating the full day cruises. 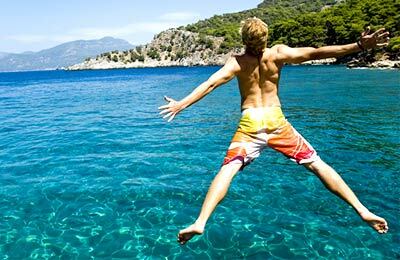 The ship is fully air-conditioned and has spacious cabins. Upon docking at Green Island, a delicious buffet lunch is available, and there is an onboard bar. Reef Rocket is a 24 metre catamaran and operates the half day cruises. The ship is high-speed and fully air-conditioned. Whether you take a half day tour, or a full day tour, you are bound to have an amazing experience exploring the Great Barrier Reef with Big Cat Green Island Reef Tours! 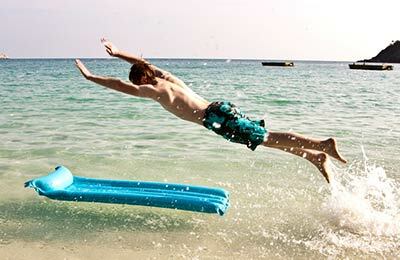 How long before departure should I arrive for Big Cat Green Island Reef Cruises?